Make sure the flex plate is oriented correctly. 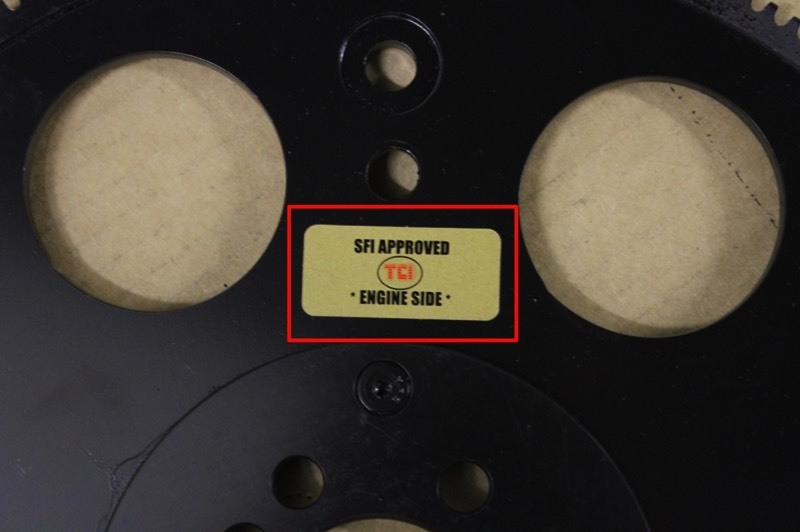 The SFI approved flex plate installed had a sticker designating which side was toward the engine. 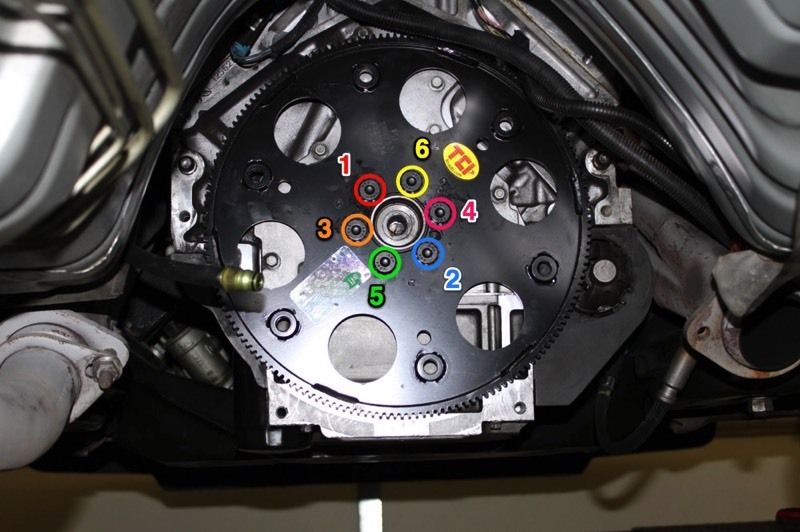 Also ensure that he flex plate is positioned so that all six bolts are able to be threaded. This should go without saying. 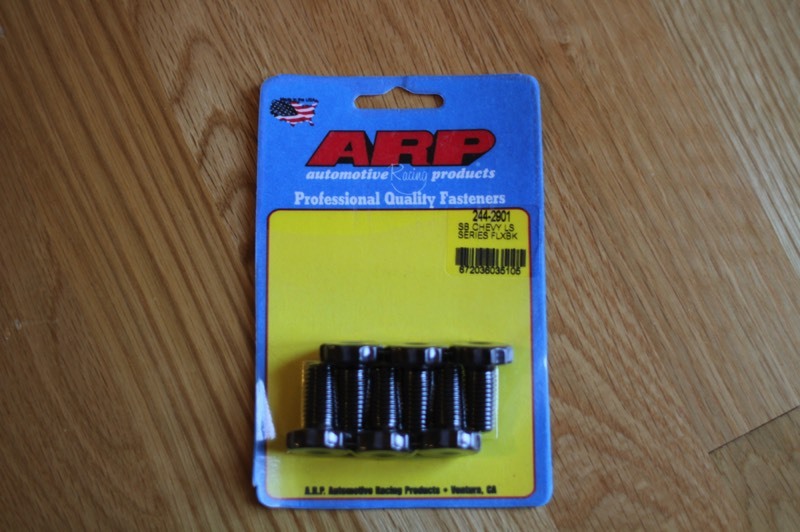 Apply high strength loctite (usually red in color) to the six 19 mm bolts and finger tighten with the flex plate in place. Have a friend take a 24 mm socket and ratchet (may need extension) to hold the crank pulley up front while you tighten. Torque in a star pattern.